KICKBOXING - MUAY THAI - AND MORE! 35-40 Events in 1 Weekend Around the Globe. 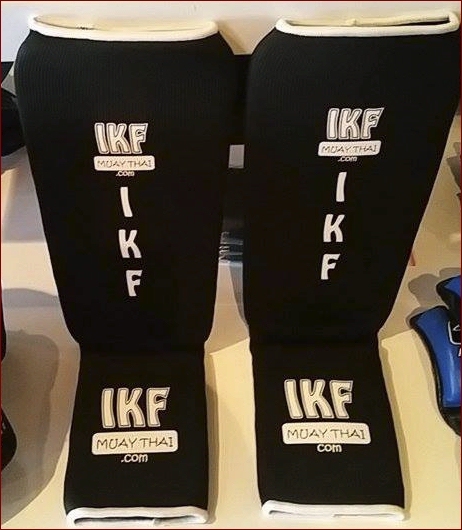 "Bring It On" & "Lets Do THIS" Are Both Fight Sport Trademarks of IKF, ISCF & International Fight Sports! NOTICE: If you have been told that a certain event is an IKF Sanctioned Event and it is NOT Listed on this page, then it IS NOT an IKF Sanctioned Event! If You know of such an event, please notify us by e-mail at main@ikfkickboxing.com This Includes Events ANYWHERE in the World. Raymond Tiscareno's Full Physical was faxed to the IKF. Please bring this same Full Physical to present to the event Doctors at weigh-ins. Chris Barrientos was not MEDICALLY cleared after full & pre-fight physical due to elevated blood pressure. Fighter referred to follow up with primary provider. Chris Barrientos Must be cleared by 5:00 PM/PST Wednesday, April 24th to participate in THIS or ANY OTHER future events. (***) Teo Gonzalez Needs To Get ALL His ADVANCED MEDICALS in to IKF By 5:00 PM Wednesday, April 24th. CLICK HERE! Ambulance Service: Orange County Fire Authority & Care Ambulance Service. 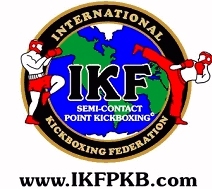 "IKF Point Muay Thai Sparring Tournament"
NOT IN A BOXING RING OR MMA CAGE! "It's About Points Not Power!" (**) Nicholas Hernandez Trainer Bryan Dobler HAS HIS AB2007 Junior Certificate: Junior Cert: 7-18: CLICK HERE. (***) March 16th, 2019 - Santa Clara, CA: Maryanne Encarnacion was unable to participate due to illness and said to have a has medical excuse from doctor. Doctors note due to IKF by 5:00 PM, Friday, March 22nd to avoice 90 Day Medical Suspension. However, No Doctors note was ever received. (**) Actavias Holmes' Trainer NEEDS TO ATTAIN HIS/HER AB2007 Junior Certificate BY 5:00 PM, April 24th: CLICK HERE. IKF CALIFORNIA Event Referees: Dan Stell, Vichai Supkitpol "Rex"
IKF CALIFORNIA Timekeeper: Nancy Rosales. WEIGH-INS END AT --- PM SHARP! (**) FIGHTERS NOT CHECKED IN BY --- PM WILL BE SUSPENDED! WEIGH-INS END AT --- SHARP! 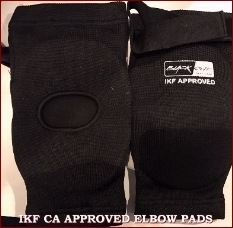 ALL Fighters on this event Must have a valid IKF FIGHTERS LICENSE ($40/Year) Which Can Be Attained At Weigh-Ins. ALL FULL FIGHTER PHYSICALS MUST BE DONE ON AN IKF FIGHTER PHYSICAL FORM. 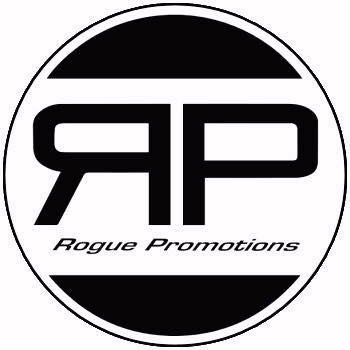 There is no IKF Fee for a "CURRENTLY IKF LICENSED TRAINER/CORNERMAN" to work on an this Event. EVENT OFFICIALS AS OF MONDAY, April 22nd, 2019, At 3:00 PM/PST. 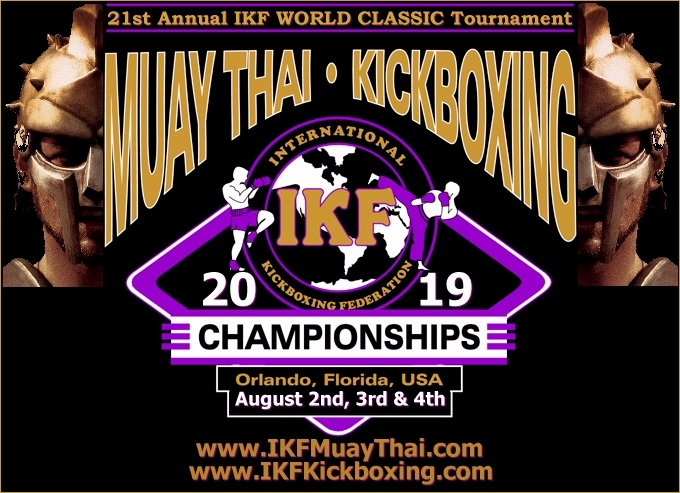 Is a 2 Day Multi-Sport Fitness Expo and in 2019 it will offer IKF Point Muay Thai / Sparring Divisions! 2019 Legion Sports Festival that will be held Saturday October 12th and 13th at the Long Beach Convention Center! Our Socal IKF PKB Representatives Ryan Hodges and Jaqueline Grier will be on hand to keep everyone safe and have a lot of fun! 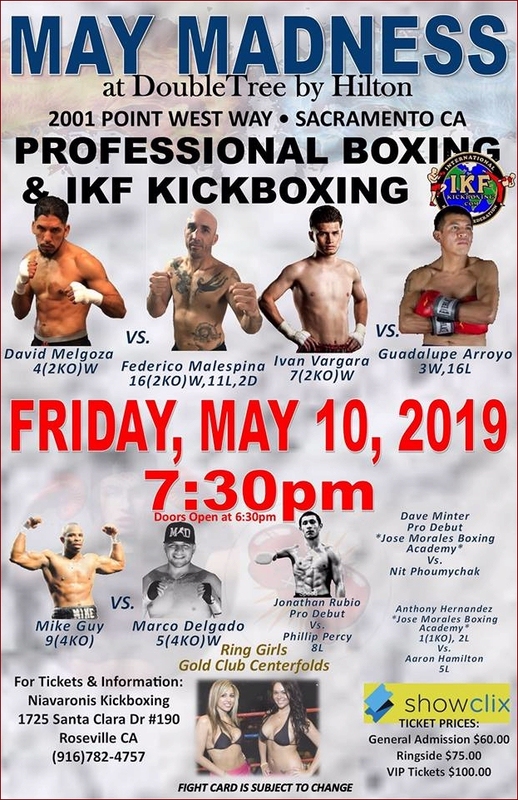 There may be additional IKF Muay Thai / Kickboxing activity for this event on that weekend...stay tuned! Great having this wonderful and fun event on board!